Korea’s female pop group Girls’ Generation will release their new album “Hoot” on Oct. 27, having unveiled new teaser posters on the group’s homepage on Monday. SM Entertainment, Girls’ Generation’s management agency, posted photos of Tiffany, Jessica and Seo-hyun. Images of the remaining six members will be added, it said. 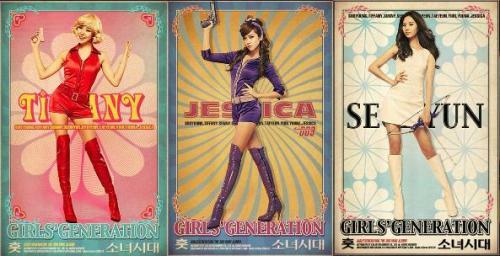 In January, Girls’ Generation songs, such as “Oh!” and “Run Devil Run,” gained popularity among Japanese fans. The group attracted 22,000 people to their showcase in Tokyo in August, creating a sensation in the Japanese music industry. Girls’ Generation’s first album for Japan, “Genie,” was a huge hit and was awarded the Gold Disk, a prestigious prize in the Japanese music world. The girls have also proudly topped the Oricon Chart several times with their hit songs.